My sister has an obsession with crystal chandeliers. I like ones that are a bit quirkier- like one I picked up in Thailand which I have still yet to officially hang that has pom poms, mirrors, and floral embroidery- trust me its amazing. I also love chandeliers in bizarre, non-traditional spots. Like bedrooms. 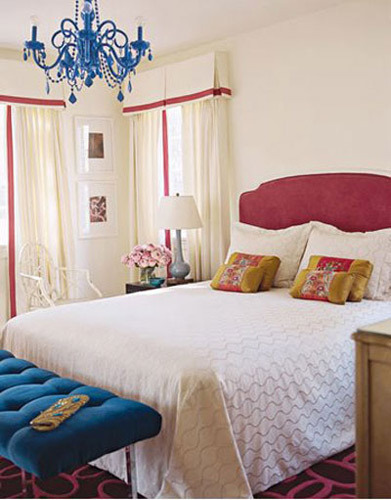 Check out this round up by apartment therapy- the above one is my favorite- I also love color. You can find great chandeliers at thrift stores, consignment shops, etc- they don’t have to be super $$. IKEA even has some cool ones. Go ahead- add some flair to your bedroom!